In a year full of pitchers with power arms, Red-Foley stands out as one of the very best. He has enjoyed a big jump up the Perfect Game player rankings, earning that ascent on the strength of a string of consistently strong performances in high profile events. He reached 94 mph on the PG National, and he works consistently at 91-93 mph with good late life. He also flashes a curveball that shows big league action and late bite at 80 mph. 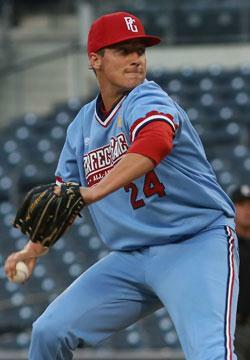 The 6-foot-3, 208-pound righty is one of the more well rounded pitching prospects in the class.